WELCOME TO MY PERSONAL BUSINESS WEBSITE.� AFVN RADIO PROGRAM'S FROM TAPE'S, NOW ON CD'S. ORDER DIRECT BY E-MAIL AND PAY FAST WITH PAYPAL. Well I'm back and working on getting better. Not ready to take up jogging, but ready for you to place your order. These are "GREAT". The full package,106 hour's on compact disk. CD-r's. The 111 Cd set price is $289.95. same shipping rate as USA). Paypal money on hand or your Credit card thru Paypal)..
USA Buyer-Click here to pay instantly with Papal! any question's. No personal check's please! buyer's, e-mail me first. as special arrangement's for Canada buyer's. broadcast's. Quality is good to above average on most all of these. APO-FPO Military & DOD personnel outside USA, same shipping rate as for the USA. satisfaction assured. I have "ALL" A-1 review's on all sold to date. USA Buyer-Click here to pay instantly with PayPal! P.O. Box 236, Boonville, N.C. 27011 (USA). 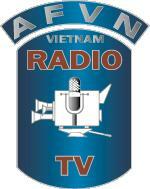 U.S. Army (Ret), Vietnam veteran & AFN Military Radio Broadcaster. ($79.95, plus $8.60 Priority Shipping) Total price in USA is: $88.55. Bob, 1967...($15.00), & $4.55 shipping in U.S.A. Total is $19.55 in USA. USO show's recorded on tape, now on CD-R. All these on CD-r's and very enjoyable. And check out the link for the "Ceremony" CD-r ($9.99, & $4.55 shipping). me "first" before sending payment via Paypal. I will include a "Free"
(1) program CD-r. (Part of my proceeds go to help vet's and to help inform our younger generation about the Vietnam war). if this is also your choice of the AFVN-Radio program's. $4.55. and confirmed delivery for up to 8 CD-r program's. from 8 to 20 CD-r's. shipping is $8.60 for Priority mail, confirmed delivery. More than 21 CD-r's, shipping is a flat charge of $15.00 for USA buyer's. For overseas order's & For specific cost's for this custom order. E-mail me for a shipping cost. Individual CD-r's & AFVN Radio Set prices are subject to change at anytime. (as well as shipping) I also have Army 8mm movie film from Vietnam, now transferred on video and its on DVD, E-mail me for more specific infromation on this. 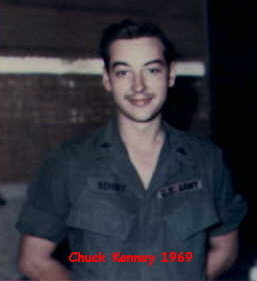 Thank You, Chuck Kenney,P.O. Box 236, Boonville, N.C. 27011 USA.